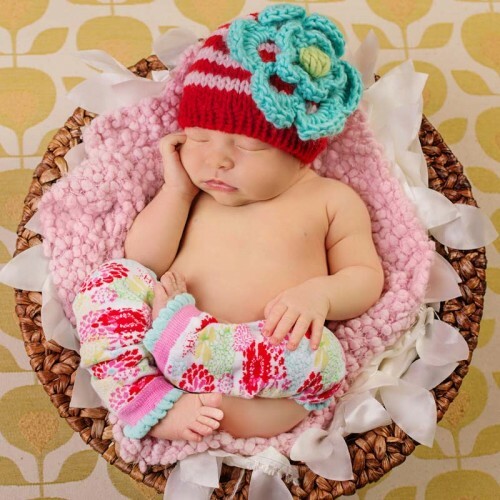 Huggalugs Very Bery Hat is perfect for your little one. 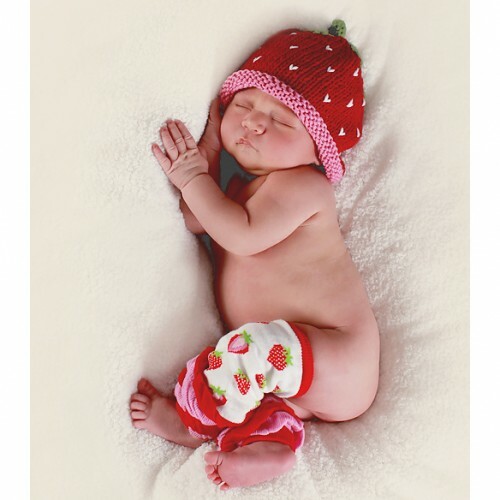 Luscious strawberries with a modern twist! 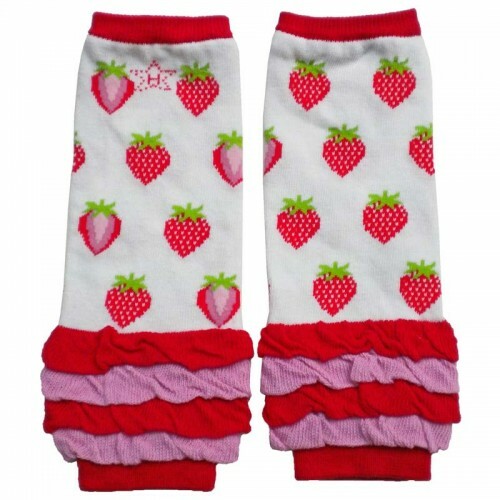 These sweet leg warmers have red, pink and white berries with green stems on a white ground. Cuffs are trimmed in pretty matching pink and red ruffles. 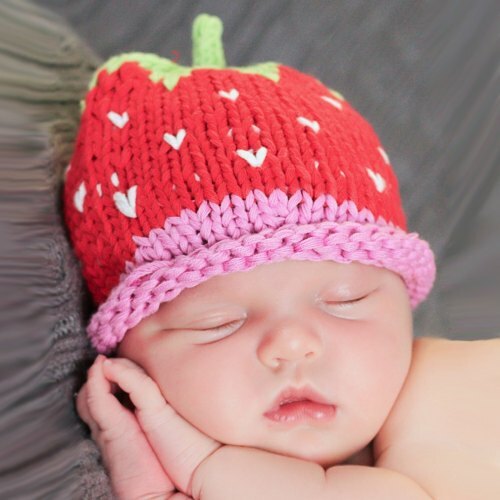 Be sure to add the matching hat!